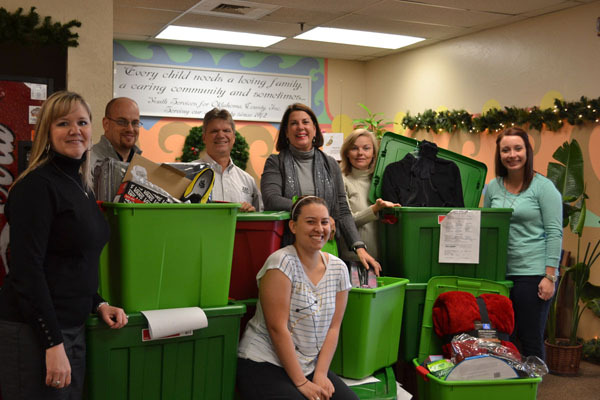 Oklahoma credit union staff gifts generously to needy area youth. Some of the staff at FAA CU with some of the Christmas gifts they gathered. The $500 million FAA Credit Union of Oklahoma City has distributed holiday packages containing everything from snow boots and food to school supplies and skateboard wheels to a group of needy teenagers, many of them homeless.